The downfall to Hulu is that often, depending on the TV series, it often does not post the newest episodes until the day later from air date, a week later, or even a month later. I’m not sure why they delay the posting of these episodes, but it’s really frustrating when you just want to watch the latest episode, and you don’t have cable television. Not all TV series are on Hulu either, so you must find another medium to stream your other TV series that are from, say, HBO. The downfall to YouTube is often times you cannot find the episode you want. I’ve searched and searched and it took a very long time for me to find Hocus Pocus this past halloween. Users who post these episodes give them strange and random titles and keywords, so it makes it difficult to actually locate a relevant episode, rather than a musical remix or home-made version of the original. Hulu for this, YouTube for that. I actually think that these sites are both very useful and they seem to serve different purposes in my eyes. I would not use one over the other, I think that there are times when I would use Hulu, like if I wanted to watch a full TV show, and times when I would use YouTube like if I want to watch a funny video or listen to a certain song. Hulu does seem more professional and the videos all look for crisp. 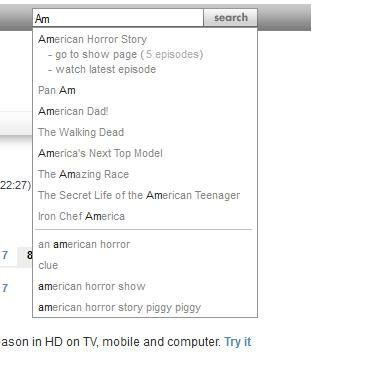 I searched for “Glee” (totally a gleek!) and full episodes were available on Hulu and the quality of the video was great. When I searched for “Glee” on YouTube only clips form an episode or videos of Glee songs with lyrics that someone had posted were available. I searched the words “Loser Like Me” which is an original Glee song and the video clip of the performance came up on YouTube right away. When I searched the same phrase on Hulu the video came up but when I clicked on it I was taken to a different site and when I clicked on the video at this new site it said “this content has expired.” So if my goal was to hear a song or watch a music video YouTube would be my first choice. Hulu is awesome for full episodes, though. The YouTube video clip of “Loser Like Me” did have some glitches at certain points and the first few minutes of the full episode that I watched on Hulu was not glitchy at all. Hulu does seem more professional but there are certain clips and videos that can only be found on YouTube. I think that they are both valuable sites. To compare Hulu and YouTube, I decided to go with an SNL clip about Kim Kardashian’s divorce. I had viewed this video on YouTube about a week ago, so when I found it on Hulu, I thought it would be a great idea to compare the two. The first thing I noticed was the clearness and quality of the videos. The video on YouTube, when I watched it the very first time about a week ago, I didn’t think anything of the quality. It was the quality I expected from YouTube. However, after I watched the video on Hulu, I realized just how much better the quality on this site was. The colors were not as bright or distinct on the YouTube video, the smoothness between scenes was less clear, and the sound clarity was not as good as it could have been. I also noticed that at the beginning of the clip, a brief ad was presented saying that a particular company was sponsoring the viewing of this video. Also, at the end of the clip, the SNL weekly airing date and time was displayed, giving credit to the show for putting on the skit. The clip I watched on YouTube did not do this. To me, this shows that Hulu is more professional and is more “lawful” in the sense that I don’t suspect Hulu of committing any copyright crimes since the shows are sponsored and give credit to their original source. Overall, I found Hulu to be more appeasing and easier to use. I typed in “Kim Kardashian SNL” and immediately found the video I was looking for. YouTube, although not in this circumstance, has so many videos that sometimes I find it hard to find exactly what I’m looking for, and when I do, it’s not always the right version or of good quality. I’ve definitely come to like Hulu more and more as time goes on. However, YouTube, because it is less professional and anyone can put whatever videos up they want, has a better variety. There are certainly pros and cons to both sites. Well, I watch videos pretty regularly on both YouTube and Hulu, so the first thing that came to mind when I knew we would be comparing the video watching experience between the two, was the difference in…How do I say it? Professionalism, Commercialism, Uniformity? Essentially, Hulu is highly regulated in the content that it appears, in how they let you watch videos, how advertisments are experienced. The video quality is excellent. Youtube is a lot more variable in terms of all these things; particiuarly how and if the content is regulated, and the extent to which Youtube controls what is posted and what isn’t. I watched an episode of Modern Family on Hulu and a video of Florence + The Machine performing “Shake it Out” on X-Factor UK on YouTube. My expectations were met. When I began my episode of Modern Family I was given the option to watch one long extended-form commercial and then watch the episode straight through without interruption, or to proceed with regular “commercial breaks”. I obviously selected the former, muted my hulu for 3 minutes and un-paused my itunes. Had I chosen the latter option, watching Modern Family would have been very much like watching it on a TV, with commercial breaks from big name sponsors. As an interesting note, Hulu also has a bar at the top of the screen asking if the ad is relevant to you. A great example of how the internet hones in on our interests to market more specifically to us. On YouTube, I actually experienced zero advertising before, after, at the bottom of the screen…while watching the performance. I watched my video in peace. After the video, and along the sides, I was simply provided with links to similar videos. The different video viewing experiences between the two sites I think captures that they are run quite differently; by a large network with lots of regulations, versus more user-based. YouTube and Hulu are both extremely popular websites for viewing clips of television shows, music, movies, and much more. I personally always use YouTube specifically just for watching music videos. Since I only watch TV shows on ch131 and realistically would never watch a show on YouTube, I decided to look up the same music video on both YouTube and Hulu for this assignment. The music video I chose to watch was Kanye West’s “All of the Lights” featuring Rihanna and Kid Cudi. This song immediately showed up as a primary result on YouTube with several different videos listed, all of really good quality. YouTube tells you how many views the video has, when it was uploaded, who uploaded it, and lastly shows several comments posted by others about the video. Although these two sites serve a similar purpose, the types of content available have some differences. When I typed in this same song into Hulu, several other results came up involving Kanye West, but not the video that I was looking for. Instead all of the results were more TV show based and included clips from television programs and events starring Kanye West. I started to look around Hulu some more and I have discovered that Hulu is excellent for watching popular television shows and movies, while YouTube is definitely better for shorter clips and music videos. Since I was already on Hulu I decided to watch a random video just to see the quality differences, and I have to say that Hulu has less annoying advertisements and has an overall better quality than YouTube does. Hulu also has a place for comments, and overall I would have to say that both of these websites are fantastic for their own unique purposes. Now that I have discovered Hulu maybe I will start using it to catch up on missed shows instead of ch131! I decided to search a Rihanna music video on YouTube and a Rihanna music video on Hulu to compare and contrast the two. I normally always go to YouTube when searching for a music video or clip because there is a wide variety of options, which is the main difference I found between YouTube and Hulu. 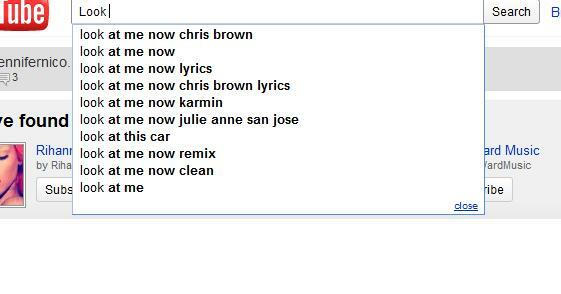 I searched “We Found Love” on YouTube and it came up with many search results and versions, some official videos and some unofficial videos. When I tried to search the same video on Hulu I could not find it, only other Rihanna music videos. 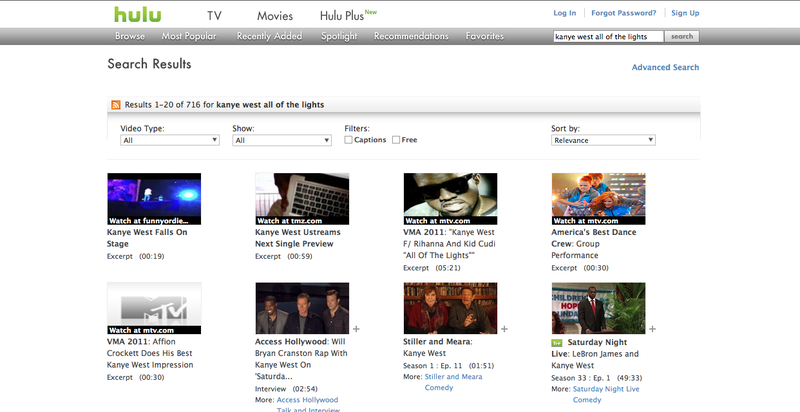 Although both sites are a good place to search for clips and music videos, I find Hulu to be more professional. The video quality is very good and you are also able to watch TV shows or movies on Hulu, which may be harder to find on YouTube. YouTube is definitely my go to place to search for videos, songs or clips from shows or movies, and even though Hulu’s quality is better, it won’t change my practices.